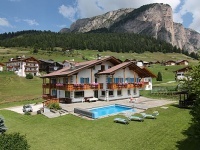 Villa Genziana is in the center of S. Cristina, direct on the pedestral area and 50m from the ski school. 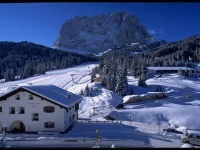 You can access the Val Gardena ski area by foot or directly with the skis from the gardena. 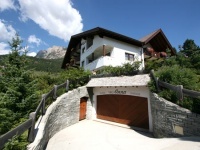 AN OPEN WINDOW TO THE SASSOLUNGO Garni Cir is ideally situated in a quiet and sunny position on the picturesque �Planetarium Footpath� & an ideal starting point for walks and mountain excursions. 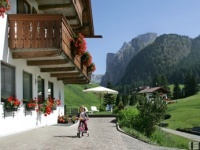 The KEDUL ALPINE LODGE is perched on the sunny side of Val Gardena, surrounded by green meadows and adjoining the promenade of the old Val Gardena Railway. Free WIFI in the lounge! 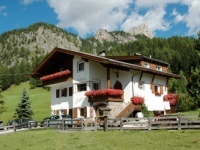 Our comfortable house is situated in a wonderful and quiet position in the center of the Val Gardena, with a marvellous panoramic view of the Dolomites. Enjoy your holidays in our house. 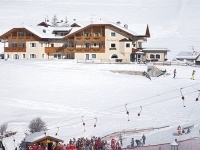 Cozy family-run Garni, in a quiet and central location, 5 min. walk from the center of S. Cristina. Ski bus stop nearby. 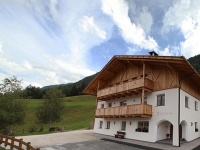 Games room, solarium and terrace are available for our guests. 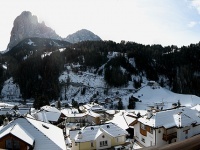 Welcome to Val Gardena! 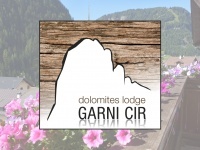 The Garni Ortles Angelo offers you an inviting accomodation in a familiar, modern and tranquil ambience. 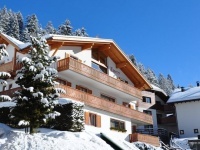 Ideal for your winter and Summer vacation in the mountains. Welcome to our home! 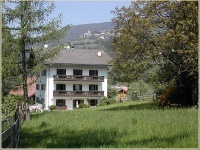 Our house BELAUT is situated in a wonderful panoramic location on the sunnyside of Selva Gardena, not far from the center of our village. 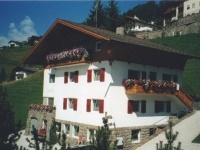 Our house is situated in a sunny and quiet position in a wonderful area, just 1 km away from the village centres of Ortisei and S. Cristina. 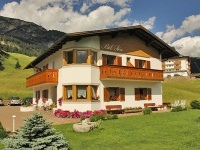 Our newly built Klimahaus is situated in a marvellous, sunny and quiet location 1 km from the village centre. If you are looking for perfect relaxation, this is the right place for you. 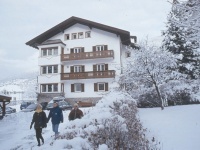 Our bed and breakfast accomodation is perfectly situated for your winter and summer holidays as you can reach the main points of interest all of which are within a few minutes' walk. 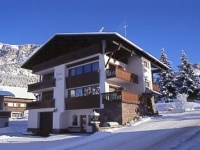 La Majon has been renovated in summer 2004. We offer you a choice of beautiful and comfortable rooms with breakfast, and several apartments for 2-3 and for 4 people all newly refurnished. 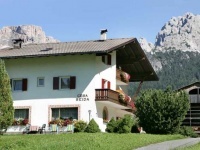 Are you searching for a pleasant and family-friendly house in the middle of the Dolomites? You are just right here! 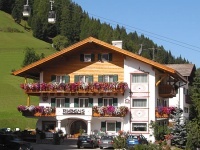 Comfortable guesthouse situated in a calm area with panoramic view close to the centre. 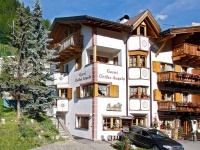 Enjoy a pleasant and relaxing summer holiday in our Wellness & Relax Hotel Chalet Dlaces***S.
Garni on Plan de Gralba, 3 km from the town center. 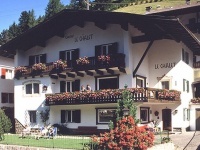 This family-run Garni offers an excellent, welcoming service, which is personalised to your requirements. 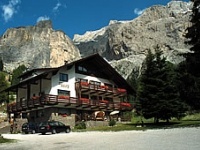 Welcomes you to the heart of the breathtaking Dolomites, where you will enjoy a wonderful holiday and friendly hospitality. Finnish or bio sauna,steam bath, Kneipp foot whirlpool. 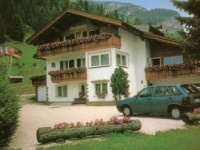 Our rooms are equipped with shower and WC, TV-SAT, breakfast and car parking. 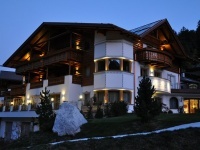 Our Garni-Residence offers bed & breakfast and apartments for 2-5 people with every comfort. 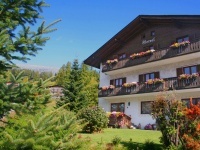 Ideal position in summer and winter: sunny, peaceful ideal for peace loving guests and families. 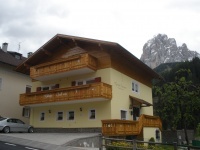 Our house is situated in a peaceful and sunny position in the centre of S.Cristina and is an ideal starting point for walking / hiking tours in summer and skitours in winter. 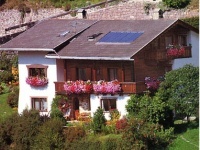 Our house lies in a tranquil and calm position on the edge of the town, 1km away from the centre, near woods and meadows. 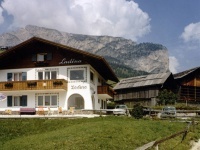 our house, a small familiy business, is lacated in the centre of Selva. Despite our idal positon, we are situated in a peaceful area. We are small but cosy.We serve you a rich breakfast with heart wishing you every morning a nice day.Skibus will stop in front of Garni Cittadella and the lifts are 400 m from here. 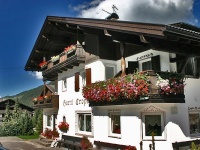 Our cosy bed & breakfast is in the centre of Ortisei, in a wonderfully sunny and peaceful setting. 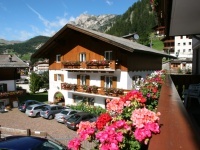 Our comfortable rooms are with bath/shower, telephone, sat TV, safe and most rooms with balcony. 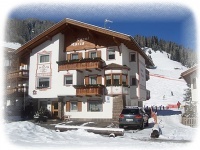 Our family-run Garni (Bed and Breakfast) is located in the centre of Selva Gardena, and is especially well positioned for skiers. 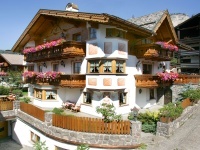 In the summer, ideal starting point for walks and excursions. 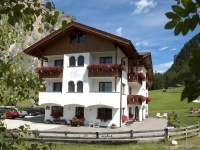 Feeling at home while enjoying true South Tyrolean hospitality...this is waiting for you at our family-run and comfortable�Garni Hotel Franca� in Selva Val Gardena. We are looking forward to you! 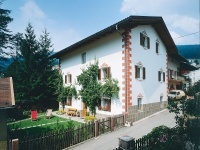 Villa Insam is a bad and breakfast with a familiar conduction, is immersed in the peacefulness and silence directly under the enchanting Sassolungo. 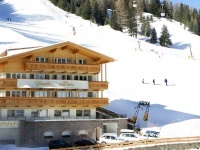 In winter is ideal to reach the runs of Sellaronda. 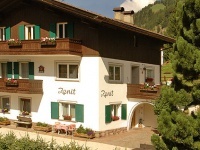 Our Bed & Breakfast is located at the entry of Ortisei. 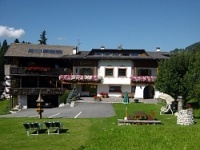 The Tennis Center and the pizzeria "Tennis" are located in the immediate neighbourhood. 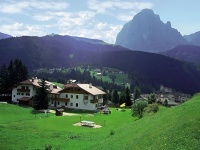 MOUNTAIN LIVING IN THE DOLOMITES Chalet Pra Ronch**** A magic place...a place of stillness and light. 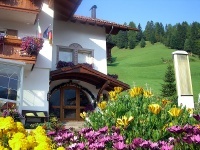 Welcome to Selva Gardena and to our B&B Iris. It is our greatest endeavour to make your holiday an unforgettable experience. 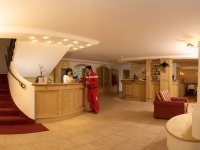 Our wish is to make you feel at home, and our many regular guests can tell you that. 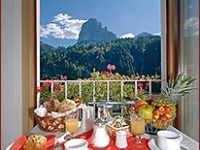 Luxury apartments and rooms with breakfast in the near of the center. Free garage. 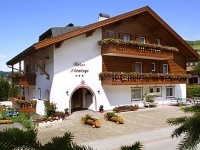 Rooms with steam bath or sauna. Fitness room. 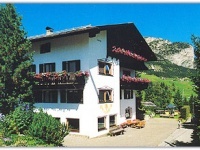 Genießen Sie Ihren Urlaub in unserem gut ausgestatteten Haus. 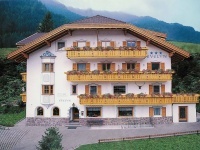 Wir verfügen über Zimmer mit Frühstück oder auch Appartements in verschiedenen Größen. 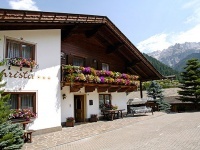 Our Bed & Breakfast is situated near the S. Cristina village centre and invites to relax and to enjoy an unforgettable holiday in the Dolomites. 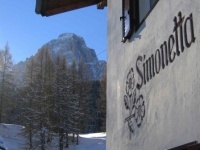 Our small family business is situated in a very quiet and sunny place, with a wonderful view into the valley and appealing view on the surrounding Dolomites. 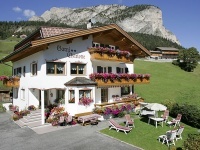 The b&b Hubertus-Chalet: have a pleasent stay in Val Gardena in the friendly atmosphere of the b&b Hubertus-Chalet. 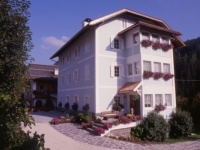 Bed and Breakfast outside center. Your landlord offers you kind rooms with private bath. Breakfast included. Traditional home situated at sunny and peaceful spot in the midst of a fascinating landscape offering a spectacular view of the village below. 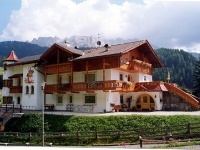 Familyguided Bed and breakfast, personal service with high quality. 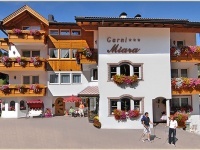 Very clean family-hotel in the center of Ortisei. 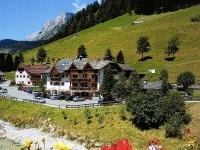 The cablecars to the mountain and the pubblic-swimming-pool are at only 2 minits from the hotel. All the rooms and suites are new. Our family run Garni has just been renewed in order to come up to your expectations and wishes. 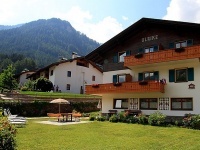 It offers all you need for comfortable holidays in a pleasant and calm environment.